Mackenzie Thorpe will mark 30 years as a professional artist in 2019 with a series of global events. 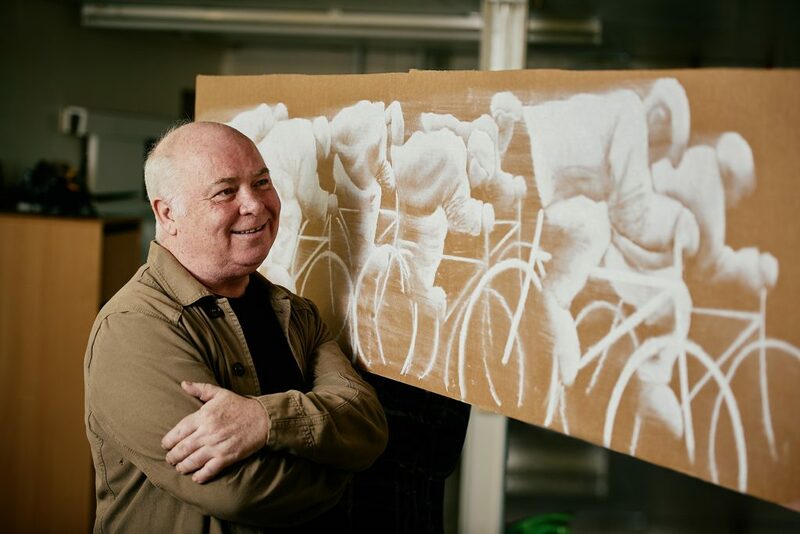 Mackenzie’s popular work, which is rooted in authenticity and always carries a message of hope, has taken him from the shipyards of Middlesbrough to internationally acclaimed artist. His 30th anniversary will see his work celebrated from the banks of the river Tees where he grew up, through the hills and dales of Yorkshire where he made his name, across UK galleries to the shores of America and Japan, where his atmospheric and poignant pictures are acclaimed. 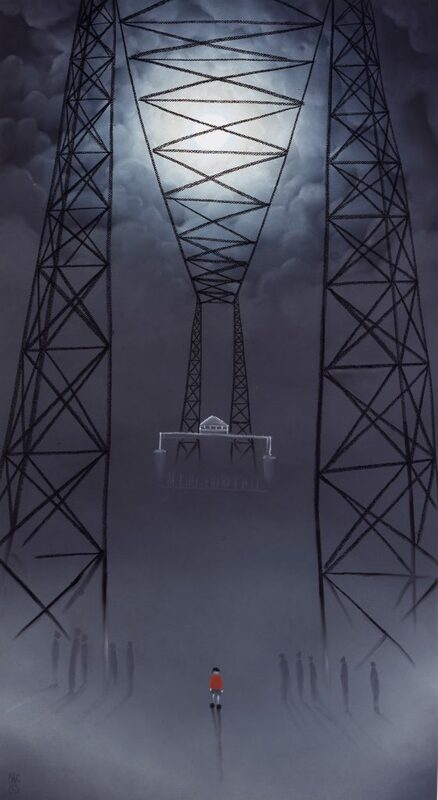 Mackenzie’s working-class roots continue to influence his artwork and the famous Transporter Bridge in Middlesbrough is a scene that features prominently in many of his pictures. It is fitting that this industrial backdrop where Mackenzie once worked will be the site for a new sculpture. Working alongside Middlesbrough Council, the sculpture, inspired by his iconic Waiting for Me Dad, will be launched with the help of local school children in April. From May to July 2019, Mackenzie will tour the UK. These exhibitions will showcase the breadth and depth of his work over the last 30 years with personal appearances from Mackenzie. The exhibitions will include the full range of imagery which he has become synonymous with, images of love, hope and paintings showing the nostalgic pride of his industrial heritage. During his career Mackenzie has achieved global success in galleries throughout America, Japan and Australia, while celebrity collectors include JK Rowling, HM Queen Elizabeth II and Tom Hardy. To reflect his accomplishments overseas, Mackenzie will make a number of trips to the USA for exhibitions displaying his work as part of his 30th anniversary celebrations, including galleries in Florida and Houston. Mackenzie’s precise and brooding pastels are enduringly popular in Japan and he will tour the far east country in 2019. During this visit he will receive an honorary doctorate from Seisa University in recognition of his artistic endeavours and charity work. In 1989 Mackenzie established his personal gallery, Arthaus, which has gone on to become an institution in the picturesque town of Richmond, North Yorkshire. A celebration event to thank the Richmond community for their support throughout his career will be held in April. Arthaus will be staging an exhibition featuring some of Mackenzie’s best-loved works alongside civic events in the town. Yorkshire will play a prominent part for the artist during 2019 following his announcement as the official artist of the Tour de Yorkshire cycling race. He will create a collection of artworks for the race which will be unveiled early in the year. Alongside the official art he will take part in a series of one-off events that will show his unique and instinctive skills.